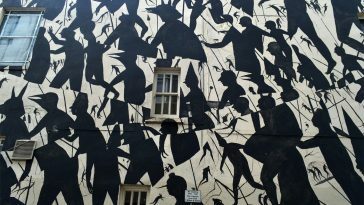 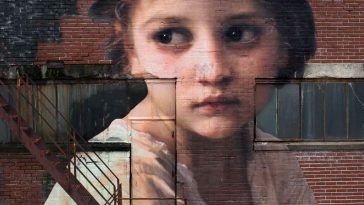 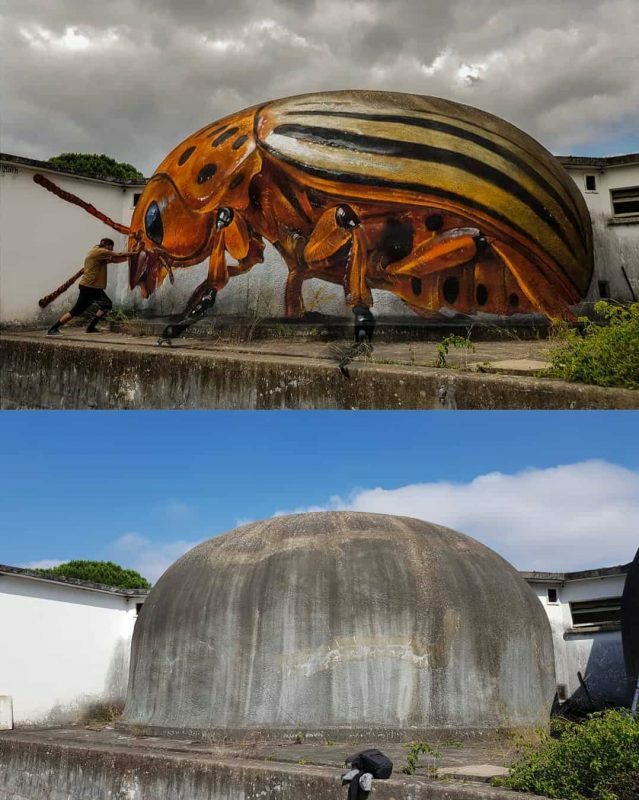 Portuguese artist Sergio Odeith has mastered the technique of painting murals that employ perspective tricks, which fool the viewer into perceiving the two-dimensional paintings as solid objects when viewed from certain angles. 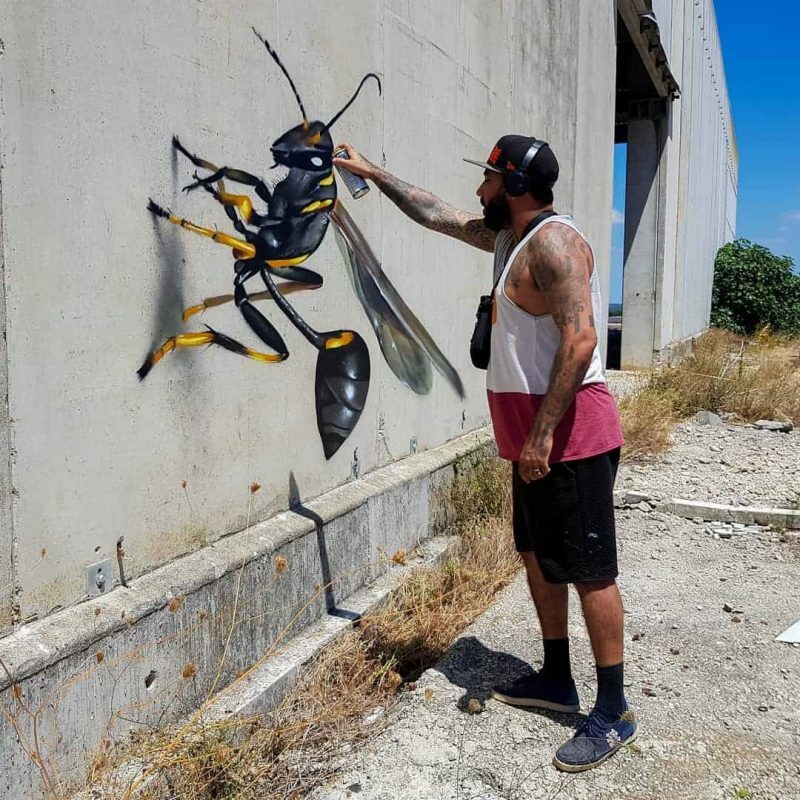 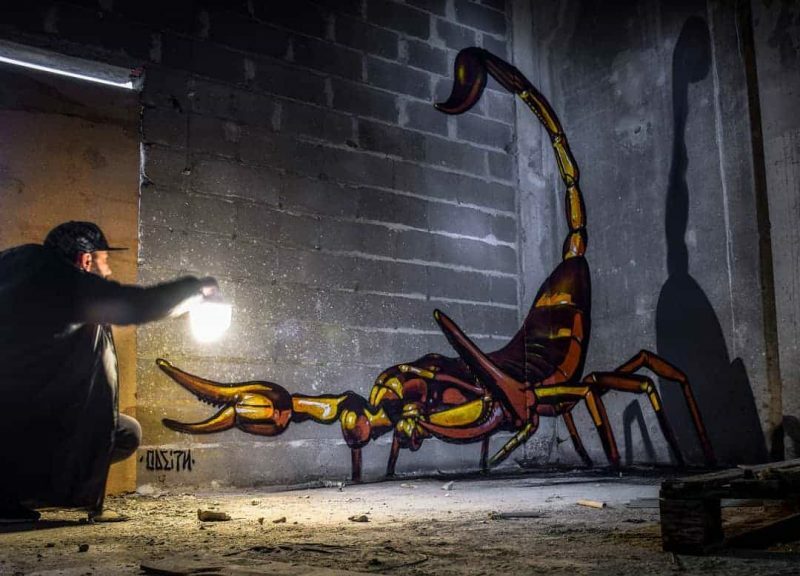 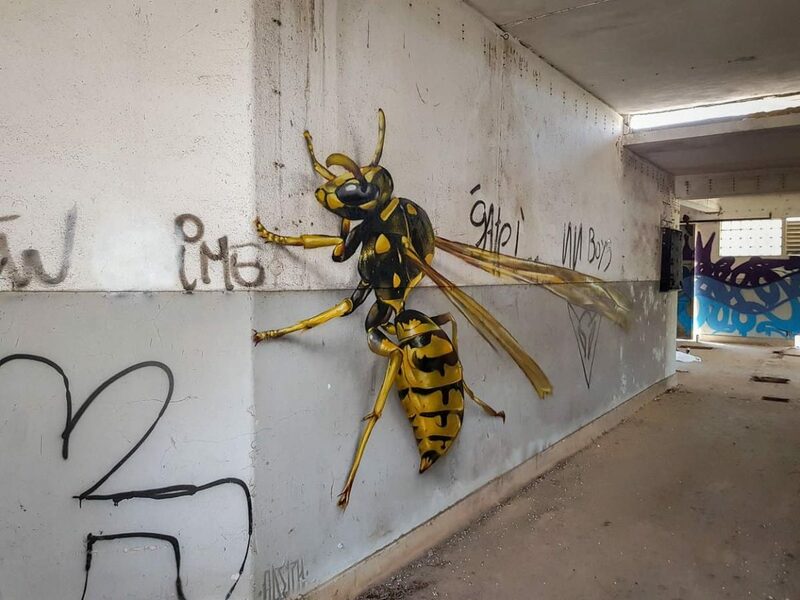 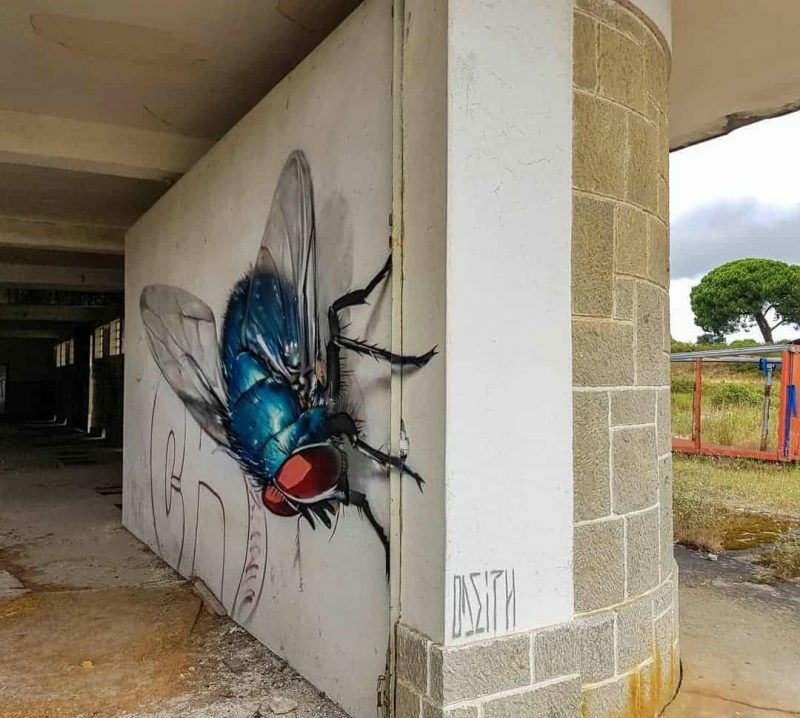 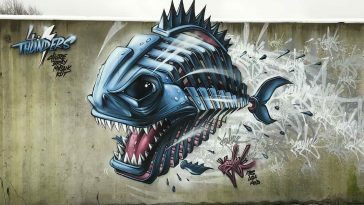 Though mostly known for his trompe l’oeil decoration, Portuguese road artist Odeith has lately been adding larger-than-life insects to his or her repertoire. 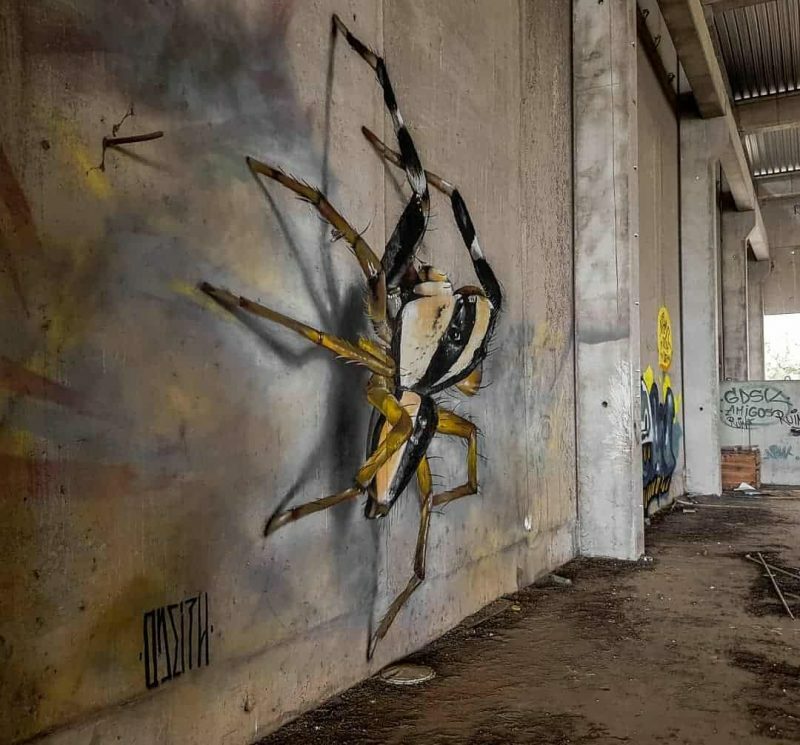 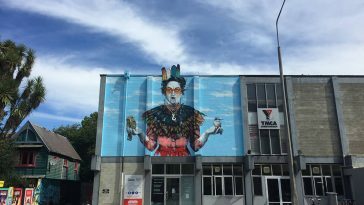 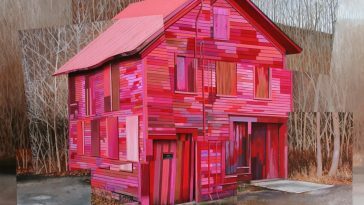 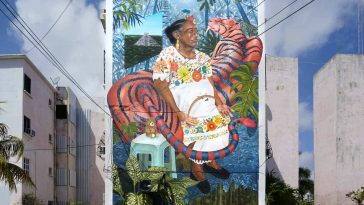 A number of the wall-based works are placed in corners and need careful planning to achieve an anamorphic effect. 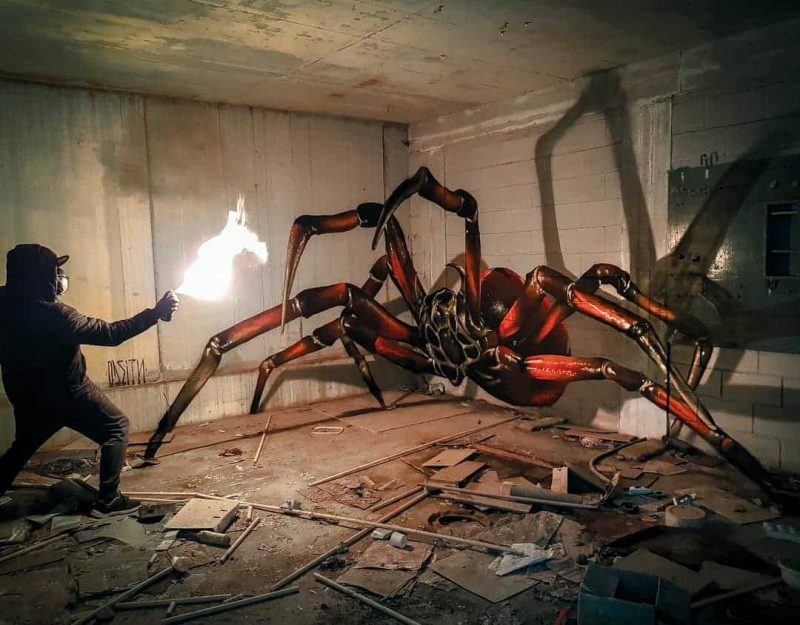 You may view more of his works on Instagram.